Students can learn how to use taste adjectives to discuss opinion on food preference. 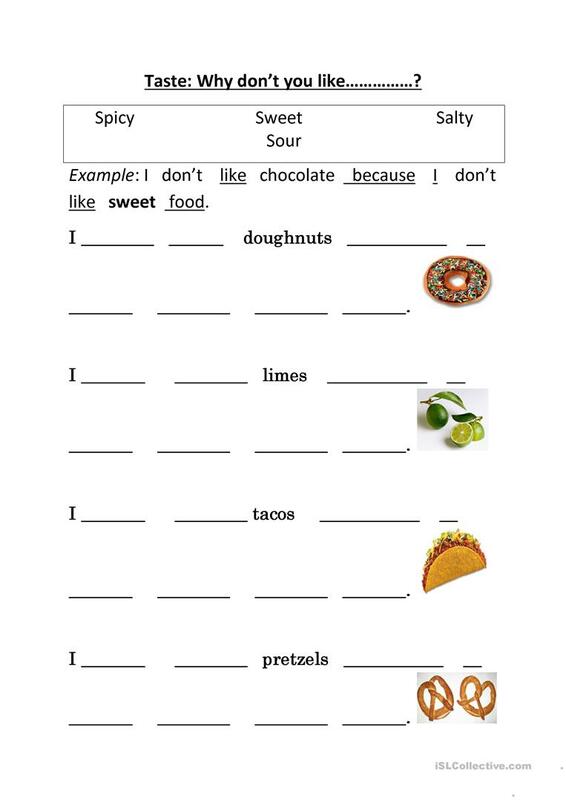 This downloadable worksheet was created for elementary school students and kindergartners and nursery school students at Beginner (pre-A1), Elementary (A1) and Pre-intermediate (A2) level. 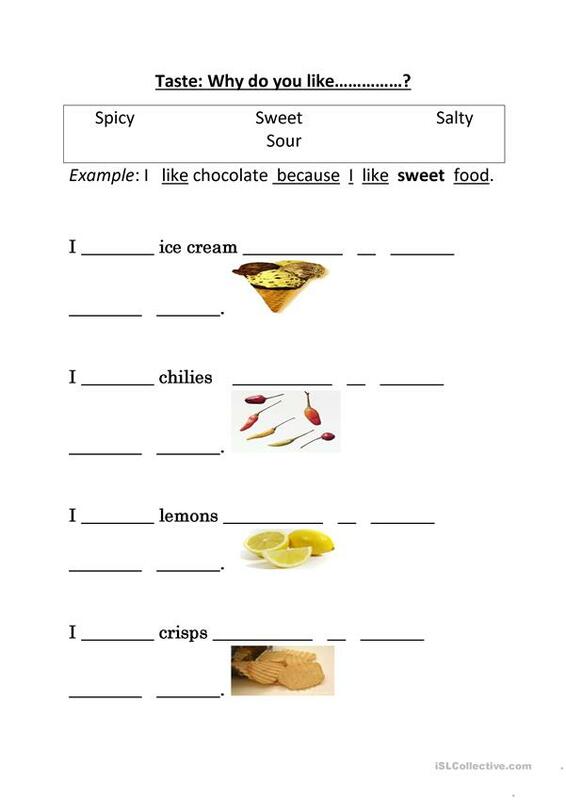 It is aimed at revising Adjectives in English, and can be used for strengthening your class' Writing skills. It focuses on the topic and words of Food. gazzo is from/lives in Thailand and has been a member of iSLCollective since 2012-07-23 10:58:00. gazzo last logged in on 2018-03-22 03:50:34, and has shared 17 resources on iSLCollective so far.